With just two weeks to go until this year’s conference many people will be planning their journey to Leicester. Here are our top tips for reaching Ratae Corieltauvorum. The best way to travel to Leicester is by train. The city is situated on the Midland Mainline and is served by fast and frequent trains from London’s St Pancras Station, which take just over one hour. This is ideal if your traveling by Eurostar, as it means you’ll only have a short walk between platforms. For those arriving by air, direct trains run from East Midlands, Stansted, and Luton Airports to Leicester. It’s best to book train tickets in advance to get the cheapest fair, and this can be done online using websites such as Redspottedhanky. To check train you can use National Rail Enquiries. Leicester’s railway station is centrally located in the city, so you should only have a short 15 minute walk to the University. The route is well signposted and takes you along New Walk, a peaceful tree lined promenade full of Georgian and Victorian buildings. 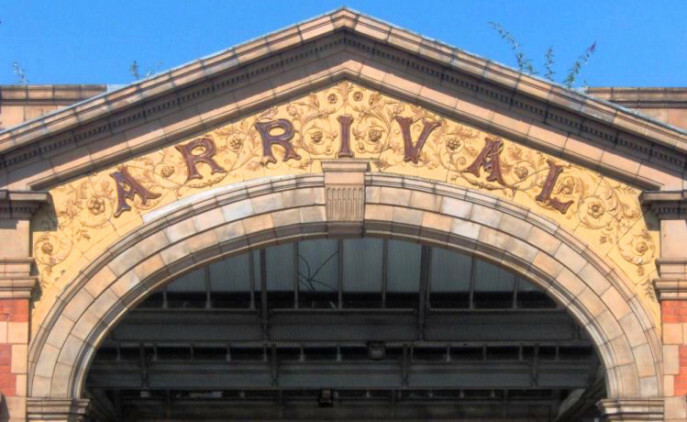 If you do need assistance to reach the University or your hotel then there is a taxi rank within the station’s porte-cochère and there are bus stops just outside. For more information see the travel within Leicester section below. The coach is the cheapest way to travel to Leicester but it is much slower than the train. Coaches depart from London’s Victoria Coach Station and take 2.5 hours but cost as little as £20 return. There are also direct coach services from London’s Heathrow and Gatwick Airports, as well as from Manchester, Liverpool, Leeds and Bradford. You can book coach tickets from National Express. Coaches arrive in Leicester at St Margaret’s Bus Station on the north side of the city centre, this is quite a long walk from the University particularly if you have luggage, but you’ll arrive in the best place in the city from which to catch a bus. For those arriving at East Midlands Airport the SkyLink bus service operates 24 hours a day and runs direct to St Margaret’s Bus Station, it costs £12 return. In the interest of the environment we would encourage you to travel by public transport. Leicester is located on the M1 Motorway. If travelling from the North take juntion 22, and from the South or West take junction 21, then follow signs for the city centre and University. For satnavs the University’s post code is LN1 7RH. Please be aware that there is no parking at the Bennett Building where the conference is being held. The nearest parking is the pay and display at De Montfort Hall or on Welford Road, both a 5 minute walk away. For more information please refer to the University’s car parking map. If you have any special access requirements please contact the conference organisers who may be able to secure you a campus parking permit. 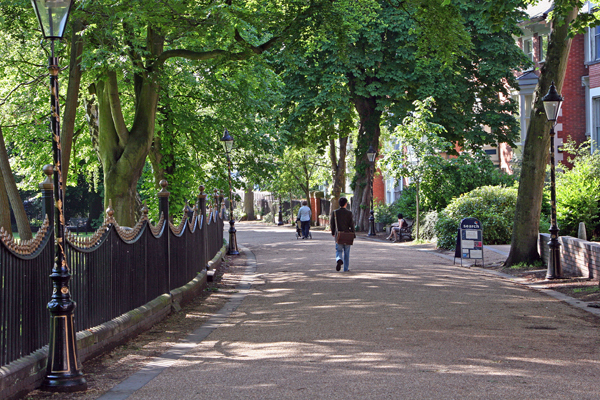 New Walk, the first pedestrianised street in Britain, created in the eighteenth century to allow people to promenade from the centre of town to the racecourse, where the University is now located. Leicester is a human scale city and you should be able to comfortably walk between the University and the city centre, where both the Reception and TRAC Party will take place. Buses are the city’s main form of public transport. A Flexi Day Ticket allowing unlimited travel on all bus operator’s services within the city (including Oadby) costs £5. Bus routes typically follow the main roads into and out of the city centre, which can make traveling across the city difficult. You can download a map of bus routes, or use the Traveline East Midlands journey planner to find out more. For those arriving at the railway station there are bus stops outside with services both into and out of the city centre. The stops located imediately outside the railway are for routes heading south, for the University use stop ED to catch the 47/47A or 48/48A towards Wigston Magna, to reach the halls of residence in Oadby use stop EE to catch the ‘Saphire’ 31/31A bus and alight at Meadowcourt Road, and then it is a short walk down Stoughton Drive passed the University’s Botanic Gardens. With most bus services in Leicester finishing before 11:00pm you may need a taxi to travel in the evening. Black cabs can be found at 24 hour taxi ranks at the railway station, St Margaret’s Bus Station, and near our TRAC Party venue on Horsefair Street and Granby Street in the city centre. There are various minicab operators in Leicester including Swift Fox Cabs and ABC Taxis. The University campus is very compact and accessible (see map here). The Bennett Building will be the focus of the conference, with both sessions and registration happening here. Registration will take place from 4:00-6:00pm on Friday, and then from 8:30am on Saturday. The Plenary Lecture will take place at 6:15pm in the Peter Williams Lecture Theatre, which is located in the Fielding Johnson South Wing (behind the Library). This is followed by a Reception in the city centre at Jewry Wall Museum, to which you are welcome to walk although a coach will be provided. The Conference Dinner will be held at 6:30pm on Saturday in the Parkside Restaurant on the first floor of the Charles Wilson Building. The TRAC Party will begin at 9:00pm at the Exchange, 50 Rutland Street in the city’s cultural quarter.